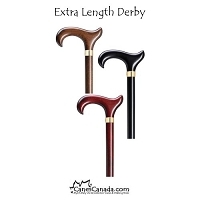 Extra Length Scorched Derby Wide Handle - Made from maple wood with a cherry stain, this extra length cane is sturdy and light weight. 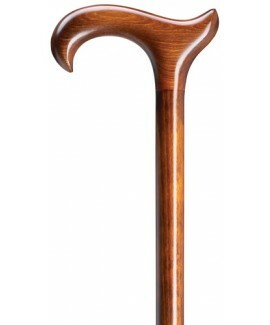 This cane is fitted with extra wide handle. 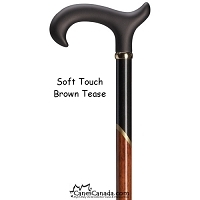 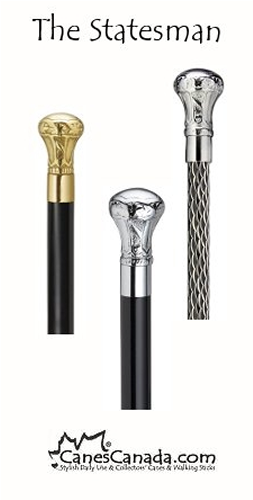 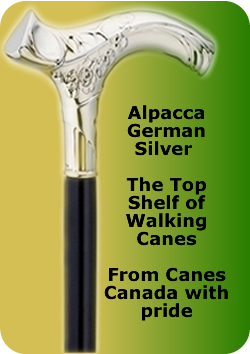 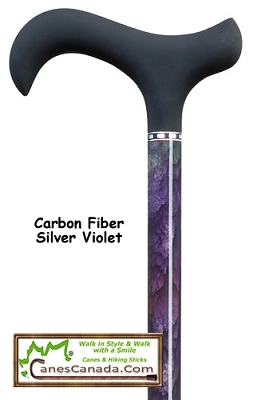 Those with medium to larger hands will appreciate the wider handle on this cane as it will help to distribute weight over a wider area of your hand. 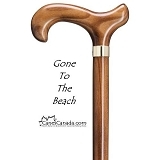 Remember to "Walk in Style and Walk in with a Smile"